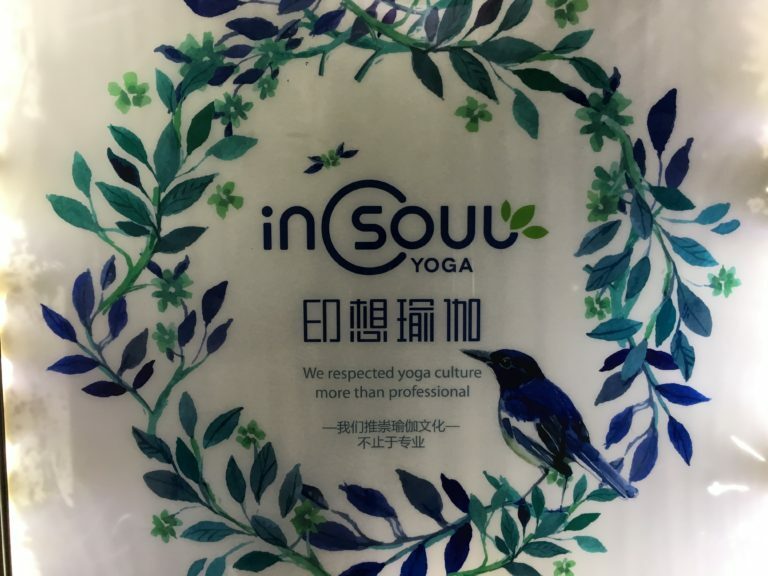 On Tuesday morning, May 30 (it was still Monday, May 29th in the US, as China is 12 hours ahead of the US time wise), my wonderful daughter in law Wang Kan, (in China, the family name comes first, we just say Kan) ) took me to a wonderful yoga class in her hometown of Qingdao, China. Qingdao is a beautiful city on the Pacific Ocean with many beaches, miles of boardwalk, parks, and nature paths. We arrived a little early at the In Soul Yoga studio, in a large building on the 4th floor (we took the elevator). We were given slippers to wear and a card that would lock our individual lockers. Mats and all props were provided as well as a clean large white towel. We were given the introductory class price of 9.9 Kuai, about $1.50 each. The floor of the yoga room was heated so the room was warm, but not hot. Out teacher Gao Yunfei (Yunfei is her first name, Gao her family name) started the class in seated explaining alignment principles in Mandarin. It was pretty easy to tell that she was discussing pelvic alignment and length in the spine. Kan was next to me so she would translate when needed, however, it was very easy to follow the class. It was a sweet class that focused on alignment similar to Iyengar, had some flow similar to Vinyasa practice and included breath in the flow, and a nice final relaxation/savasana. I did my first downward dog post surgery in this class! It was fun! 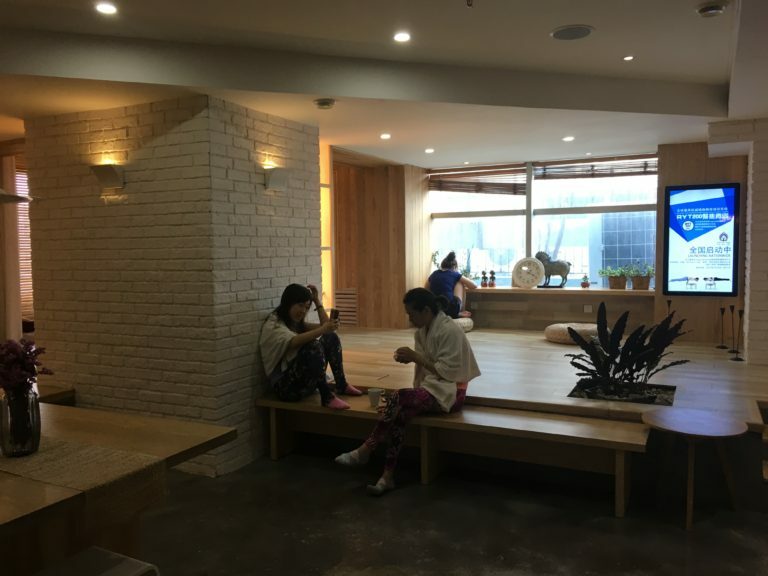 Kan said that this studio is new in Qingdao, but that she would go back when she is visiting home. I will go too when I am in Qingdao! « UD Yoga in the Community Begins!